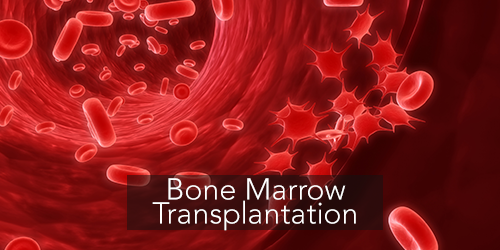 Umbilical cord bone marrow Transplantation: Stem cell are taken from a New born Baby's umbilical cord. These stem cells are preserved for transplantation when required. There are various stem cell preservation centers in India where you can preserve the Umbilical cord. People nowadays, getting to know about the importance of preservation of Umbilical cord and gradually the number of people preserving cord cells is improving.